Involving citizens in policy-making – does it vary across countries and why? Katy Huxley, Rhys Andrews, James Downe and Valeria Guarneros-Meza discuss their latest P&P article, Administrative traditions and citizen participation in public policy: a comparative study of France, Germany, the UK and Norway which is free to download throughout September. Scandinavian tradition, which combines the organicist and Anglo-Saxon traditions (e.g. Norway). In addition, we thought it was important to consider developments in public sector management and reform in different countries and the potential for EU influence in developing citizen participation. Our results suggest that citizen participation is accorded the least priority in France, followed by Norway and the UK, with Germany rating citizen participation as more highly. State-society relations, the type of decentralisation and policy and public management style are important indicators of the importance accorded to citizen participations, but these relationships are influenced by national administrative traditions. greater focus on customer orientation in Norway. These results suggest that the different administrative traditions in European countries may well shape the opportunities for citizen participation in public policy, and that Europe-wide efforts to encourage participation should pay close attention to the national context in which initiatives are implemented. Our paper concludes that a commitment to citizen participation in public policy is influenced by institutional factors in central government, as well as in sub-national levels of governance. 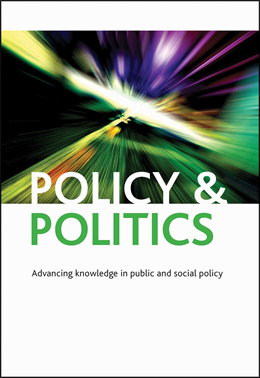 It also highlights the role that supranational institutions, public management reforms and key actors may play in driving participation in policy-making, all of which points towards the complexity of the policy environment in which cross-national strategies and programmes for citizen participation are located. Our survey data from France, Germany, the UK and Norway add further weight to the evidence emerging on this developing area of research. Katy Huxley is a Research Officer at the Administrative and Data Research Centre – Wales (ADRC-W), based at Cardiff University. Katy’s research interests focus on employment, public sector management, human resource management and industrial relations. Professor Rhys Andrews is a Professor in Public Management at Cardiff Business School, Cardiff University. Rhys’ research interests focus on strategic management, social capital and public service performance. Dr. James Downe is a Reader in Public Policy & Management and the Director at the Centre for Local & Regional Government Research based at Cardiff Business School, Cardiff University. James’ research interests are in local government performance regimes, political accountability, sector-led improvement, public trust and the ethical behaviour of local politicians. Dr. Valeria Guarneros-Meza is a Lecturer in Public Policy in the Department of Politics & Public Policy at De Montfort University. Valeria’s research interests have focused on the impact that structural economic changes and institutional socio-political reforms have on local governance. If you enjoyed this blog entry, you may be interested in a similar article such as Runaway Train: public participation and the case of HS2 by Amanda Crompton.